The global economy is experiencing important technological shifts with the rise of digital technology a key driver. These changes are likely to intensify in the coming years with new technologies that are emerging such as artificial intelligence, cloud computing, and autonomous vehicles. For developing and emerging economies, the digital economy provides an opportunity to achieve economic and technological catching-up through using digital technologies and building capacities. But, technological shifts may also widen the technological divide with advanced economies weakening the position of developing economies in global value chains and making ongoing catching-up efforts ineffective. To explore these issues further, we have recently be undertaking research which aims to offer direction in terms of constructing overall policy strategy in developing and emerging economies, in partnership with the Global Economic Governance Africa project, focussing on South Africa. With the installation of fibre optic cables in East Africa, internet connectivity got a lot better and cheaper. On one hand, this has facilitated the expansion of larger international tour operators and hotel chains into East African markets and allows them to better manage and control local suppliers. Due to cheap and reliable forms of digital communication local East African SMEs do not just compete with one another, but with global players as well. In our research we found, that large international tour operators were able to cut out some Kenyan and Rwandan ground handlers and intermediaries as they are able to communicate with the service providers directly online. The new edition of Bridges Africa, which is a well-regarded online publication focussing on international trade and Africa, is on e-commerce and digital trade. In this article, we discuss recent trends towards regulating broader aspects of digital technologies and data flows through international trade rules. Given the growing importance of digital technologies and data, these changes are likely to shape the future directions of digital economies, industrialisation and structural change in Africa. Yet, at present there has been little consideration of the specific challenges that African countries face. I have a new blog post on the Sheffield Institute of International Development (SIID) blog entitled “Measuring innovation amongst marginal producers: Implications of evidence-based policy”. Research on innovation in the global south has increasingly highlighted the importance of continuous, small-scale innovation for small producers and farmers – be that an adapted machine or an improvised farming technique. Stemming from such research, there have been calls for innovation policy to better consider such activity, to ensure that innovation does not just support large industries but also the development of marginal groups. …In a recent paper, ODI economist Aarti Krishnan and myself developed a new approach to measuring small-scale innovation; we then use this approach to explore innovation in value chains in the Kenyan horticulture sector. 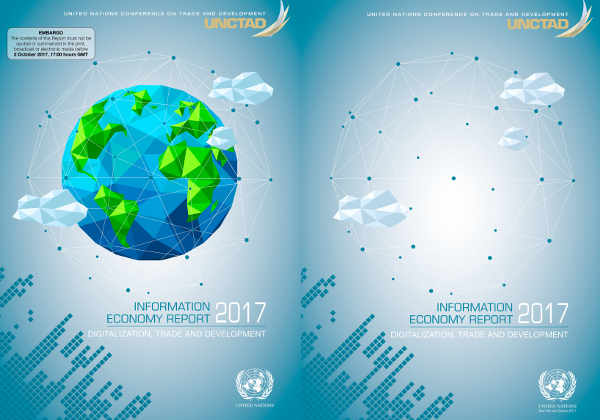 This week UNCTAD released their flagship Information Economy Report 2017. With growing global digital connectivity and technologically-driven global markets, it is appropriate that it focuses on ‘Digitalization, Trade and Development’. This is a short article for the comment blog of the Sheffield Political Economy Research Institute (SPERI). It explores the growth in focus on digital trade within trade deals and reflects on what this means for trade deals related to Brexit. …We’re seeing a growth of interest in using more data in development, and notably large and complex “big data” to help solve development problems. Indeed, we can say that the infrastructures now being built to support big data are likely to become central to how we make development decisions in the future. I’m happy to share new working paper titled ‘The TPP and the digital trade agenda: Digital industrial policy and Silicon Valley’s influence on new trade agreements‘, written by Shamel Azmeh and myself. In the paper we explore the growing focus on data and digital information flows in new trade deals such as the TPP, and explore some of the motivations behind this trend. One of the most commented upon elements of the Trans-Pacific Partnership (TPP) is the inclusion of new rules around digital information flows and digital data. In particular, we have seen civil society and technology commentators criticising some of the rules within the agreement — on source code, data localisation and intermediaries — that they suggest will be detrimental to a secure, open and competitive digital sector. What has been less discussed is the reason why these rules are part of such an agreement. We suggest that many of the problems identified so far are purely collateral damage emerging from the main goal of digital clauses of the TPP — an aim by Silicon Valley to nip in the bud the expansion of ‘digital protectionism’ (or what we prefer to call ‘digital industrial policy’!). Our previous conference paper ‘Geographies of Information Inequality in Sub-Saharan Africa’ has now been published in The African Technopolitan, a bi-annual magazine published by the African Centre of Technology Studies (ACTS) on science, technology and development. The January issue which includes quite a number of interesting articles on ICT in Africa can be downloaded here (PDF).